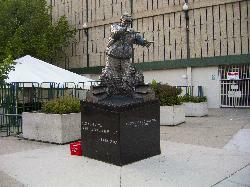 The Harry Caray Memorial Status outside of Wrigley Field in Chicago. Photo at 2009 Toronto Blue Jays baseball game. Taken from the upper deck at Rogers Centre. This 490ml hand pump version of Blue Jays hand soap was sold at Dollarama for $3.50 CAD. The logos are trademarked, and are distributed by Biolab International Inc.
Rogers Centre is home to the Toronto Blue Jays and the Toronto Argonauts. Rear of the building of the Toronto Rogers. Shows the hotel that is attached to the building. The hotel is currently operated as Renaissance Toronto Downtown Hotel. 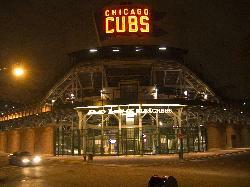 Evening photo of the rear bleachers entrance to Wrigley Field in Chicago. 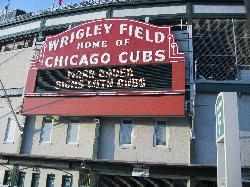 Photo of the entrance sign at Wrigley Field baseball stadium in Chicago.